One of my biggest regrets is not using the time I worked in college to jump-start my career. I worked throughout college and full-time during the summers but many of the jobs were small gigs just to make extra money. I did one internship at a commercial real estate broker but that was it in terms of real professional experience. Thanks to the internet, it’s never been easier to make extra money and build your professional skills while you’re still in college. Use the opportunity from online jobs to build out your skill set and you’ll have employers fighting over your talent by the time you graduate. Some of these online jobs for college students may even become six-figure careers all by themselves. It’s a tough job market and you need everything you can to land that perfect job after college. Use this resource guide for online work to find the job right for you, the one that is going to lead to a big payoff in the future and today! This first set of online jobs are ones that will help you build professional experience for the career you want after college. Of course, that starts with understanding what you want to do after graduation. As someone that hated his first decade of work after college, I can tell you that finding a job you enjoy is one of the most important decisions of your life. Hopefully, you’re studying a subject that relates to the kind of job you want. It’s not an absolute necessity, many jobs simply require a post-secondary degree even if it’s not in a specific major. Getting an online job in your dream industry can be a great way to build experience so you can get a job after graduation even if you don’t have a degree in the specific field. This is probably the most natural online job for college students. You’re already writing regularly for your classes so have the skills to pump out a couple of articles or more a week. You can write for blogs, corporate websites, review sites, and even traditional newspapers or magazines. Payment will usually be a fixed rate for each article and should be determined before you start working. Start at $50 minimum but you can quickly work up to $150 or more for a quality 1,000-word article. I averaged $45 an hour and more freelance writing just a couple of years after getting started. 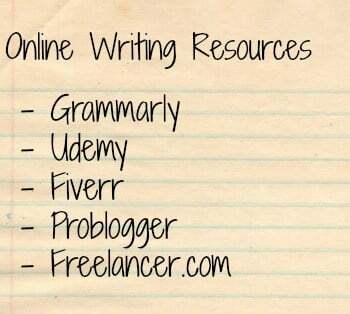 This can include other writing jobs online like editing and proofreading. A lot of online writing is done by non-native English speakers and needs a lot of editing. Your writing skills developed through college are invaluable to employers. Set up a free account on Grammarly to help check your writing for grammar and readability. Let Grammarly catch the little mistakes before you send your writing off to editors. Freelancing writing in college can help you get a job in just about any industry after graduation. Even analytical jobs need people that can communicate effectively and quickly. My ability to create quick reports based on my investment analysis has helped me get equity analyst jobs even against other applicants with better analytical skills. Internet research is another online job perfect for college students because you’re used to researching data and ideas for class projects. Marketing departments, financial advisors, research firms and even professors at your school will pay you to outline an idea with data and facts. Pay is usually on an hourly basis between $10 to $20 per hour but can go higher depending on how much experience you need in the topic. With most of these jobs, you’ll want to build your own website to highlight your best work. Unless you’re looking to work as a graphic designer or in website design, you don’t need a complicated website and can put something together in less than an hour. Putting a quick website together is easy with SiteGround hosting. It’s the web host I use for my five blogs. Customer service is excellent and you get free search marketing credits that you can use to promote your online services. Running a website is a full-time job and many bloggers just don’t feel like they have time to run their social media accounts as well. Build a little experience in social media management and you’ll be able to get jobs with larger corporate sites as well. As a social media manager, you’ll be interacting with followers and sharing in different groups. You’ll run outreach campaigns to gain more followers and may even design advertising on the social platforms. Pay is generally by the hour and ranges from $15 to $25 per hour. Most social media platforms have easy scheduling tools so you can work anytime during the day and schedule updates during the best times to reach followers. 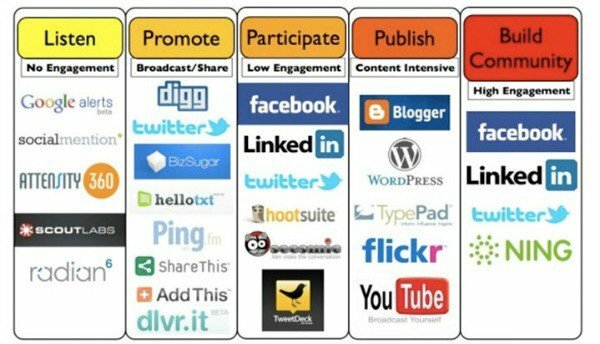 Social media management tools like Hootsuite cost as little as $10 a month to link up multiple platforms and manage everything from one page. If you’re going to work as a social media manager, employers will want to know that you have experience with a management tool so familiarize yourself with some of the most popular. I recently paid an online consultant $2,000 to help me develop a Facebook advertising strategy for three months. We spent about 20 hours on the phone and she spent another 10 hours or so beyond the phone calls. That’s nearly $67 an hour and all on a flexible schedule. There is a lot that goes into being a professional consultant for Facebook or Google Adwords so I recommend taking a few video courses on Udemy. You can find courses as low as $15 and that will give you hours of video lessons to get you started. This is one of the fastest-growing online jobs and perfect for college students that grew up with social media and Google. Web marketing is the future and online ads are a big part of that trend. Any marketing department will jump at bringing on a college graduate with strong experience and proven skills in online advertising. Graphic design is going freelance faster than any other job. More companies are looking for online graphic designers rather than hiring permanent staff. Graphic design as an online job can include website design, posters, ad design and infographics. Pay is usually a flat rate per project and can range from $25 per piece up to hundreds of dollars. While a lot of companies are transitioning to hiring out their graphic design work online, there is still plenty of opportunities for full-time after you graduate. Having a few work examples for actual clients is going to put you out ahead of other applicants. You gotta start somewhere and these online jobs are great for new college students that haven’t yet figured out where they want to go after graduation. These jobs will help you make extra money and learn how to use the internet to find work. Check out this resource guide on how to start freelancing and popular freelancing websites. Data entry jobs aren’t the best paying online work but you only need to know how to use Excel or some other spreadsheet software. It’s an easy job and you can listen to music while you do. Pay is usually by the hour or per line. Hourly pay ranges from $8 to $15 and you can usually make that much when working per line as well. Tracing a family tree has never been more popular and people are paying big bucks to have it done for them. What’s best about researching a family tree is there are websites that will help you with the process beyond just visiting your local genealogical society. You can generally charge between $100 to $500 per project. Set yourself apart from others by offering a little more detail in your work than just mapping out the family tree. Look for significant accomplishments within a client’s ancestral history to highlight and create a story around their past. You can find online projects through Craigslist, offline ads at the local genealogical society, in the local newspaper or through your own website. Transcriptionist is another online job that won’t make you rich but it will make you some good money and can be done on your schedule. Transcribing is just taking an audio file and typing out what you hear. It does require attention to detail and decent typing speed but no experience. Projects are paid by the hour or per audio file. You’ll generally make between $10 to $20 per hour but you can make more in special fields like legal or medical. Why settle for jobs that help get a career when there are some online jobs that could BECOME a career? A lot of online professions take years to develop into businesses large enough to support a family. That makes them great jobs for college students because you can build the business while you’re still in school and be ready for when you graduate. It took me more than 30 years to find blogging as a legitimate job. Ok, so the internet and blogging wasn’t a thing for many of those years. Running my own websites has helped me find a satisfaction and financial independence I never had with a traditional job. You can work in any field, set your own hours and make more money by diversifying your income sources. A lot of people still think of blogging as just a fun hobby but it’s a legit job. I’ve made over $72,000 on my websites in less than three years and have averaged over $6,000 a month this year. There are several resources on the blog to get you started and start making money blogging. Getting your blog started is one thing. Making real money is another thing altogether. One thing I’ve learned as a blogger is that you can’t rely on just one income source. You have to learn the different ways a blog makes money and how to use each one to steadily grow your monthly income. That’s why I put together Make Money Blogging: The nine proven strategies I use to make money online. The book starts with the easiest and immediate ways to make money on your site and then walks you through the strategies that take longer but make thousands a month. Each strategy is detailed with the process to get started and make more money. You don’t have to own your own blog to make money online through websites. Blogging and website development is a huge job and there will always be a need for people that can manage different parts of an online business. There’s actually a lot of online jobs for college students in website management. I pay an assistant 30% commission on the sponsored posts she finds for my websites. 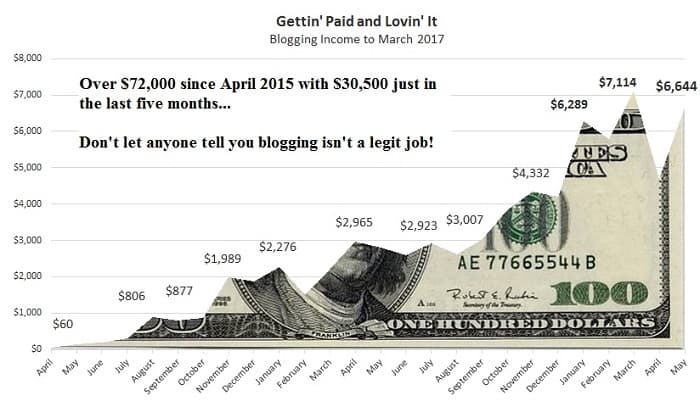 My blogs are fairly small but she makes around $400 a month, and that’s just one client. You can easily handle dozens of clients. One advertiser might want to sponsor posts on many sites and will come back for more articles for recurring income. Getting started in website management means showing people you can handle your own website first. Get started with a quick site from Host Gator for use as a portfolio of your work. Managing an online store on Amazon is one of the newest ways to make huge money online. You can either buy products in stores or in bulk to resell through your online store or you can create your own products. Reselling through Amazon is the easier job. There are apps available that can instantly compare the price in a store with the price of something on Amazon, showing you how much profit is available. Creating your own products is easier than you may imagine and can easily grow into a six-figure income. You contact manufacturers and negotiate a price for bulk orders, then ship directly to Amazon’s warehouses. Amazon manages the shipping while you use advertising and content marketing to drive people to your sales pages. 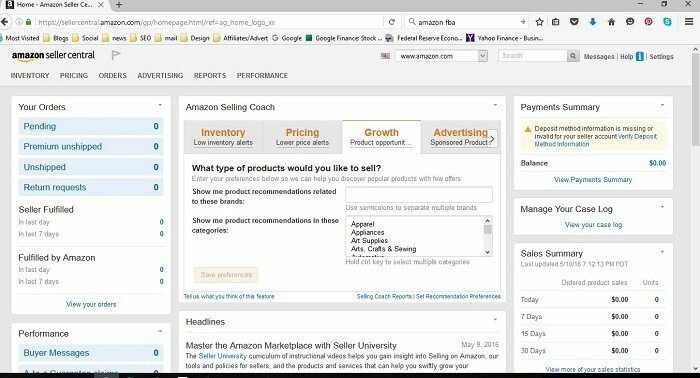 Selling on Amazon FBA can be an online job or can lead to great job offers. Think about it, you are creating your own online retail company. What company wouldn’t want someone with the motivation and skills to do that? Self-publishing your own books is still a neglected way to make money online and one of my best income sources. How many college courses are you taking? You could create a book around each course, talking through what you are learning. Not only will it create a passive source of income but you’ll ace all of your courses as well. I average over $200 per book every month. That might not seem like much but it’s passive income for which I don’t have to do anything after publishing. Just five books will make you a thousand a month for extra income after college. Sometimes you just need some extra money and can’t worry too much about online jobs that might lead to something else in the future. Online jobs are great for college students because they can be done year-round and on your schedule. Online tutoring is another natural fit for college students. Your college studies aren’t just teaching you a subject but also teaching you how classes and curriculum are delivered. You can go the traditional route for in-person tutoring or go online to teach virtually. You’ll charge by the hour for between $15 to $35 or more per hour. You can tutor within your college subject or in just about any topic in which you have some experience. Being a virtual assistant can encompass a lot of the online jobs we’ve already talked about, basically just helping out with administrative work. The hours may be a little less flexible compared to other online jobs because some clients will want you to be available during the day but most of the work can still be done on your schedule. Virtual assistants are paid by the hour, usually between $15 and $50 per hour, but might also charge to be on retainer for a client throughout the month. An additional upside to being a virtual assistant is that you get first-person experience into running a business. You help the business owner daily or weekly with projects and can even be involved in planning. Work online as a virtual assistant in college and you could be ready to start your own business by the time you graduate. Finally is the old go-to job for many college students. Most college curriculums have a writing class requirement that includes a week or two on resume writing and job search. Turn that couple of weeks into an online job by offering resume writing and review services. Don’t stop there. Besides resume writing, you can offer virtual recruiting services and interview counseling as well. After a year or two online, you’ll be getting job offers from any recruiting agency. Any traditional job can be done online and getting started while in college can be the best decision you ever make. Online jobs for college students isn’t just a way to make money but can be the road to better job offers and even your own business after graduation. Amazing Blog Post and quite useful. Whether you are a college student or a regular employee, These platform and jobs and jobs platforms are quite useful for everyone.